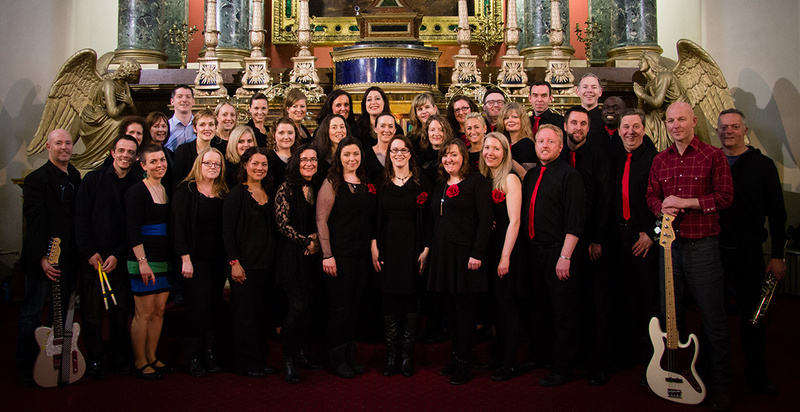 Founded in 2000, Gardiner Street Gospel Choir is one of Ireland's most renowned gospel choirs. Based in St. Francis Xavier's Church on Gardiner Street, the choir is known for the energy and enthusiasm it brings to the weekly gospel mass on Sunday evenings. The Gardiner Street Gospel choir was set up in March 2000 by Kevin Kelly to encourage young people to return to mass and to make the mass a more joyful and meaningful experience for all. The GSGC is a spiritual, vibrant and entertaining choir with a reputation for lively and inspiring performances, spreading infectious joy and and a meaningful message through music everywhere they perform. The choir have performed in various venues including The Olympia, National Concert Hall and the Gaiety and appear regularly on national TV and radio programmes. They released their first album One Love in 2002 and their first studio album Lift Your Voice in 2013. The 40 singers are accompanied by a band of 6 and continue to convey the gospel message through their music. The gospel choir have made the mass a true celebration, bringing the liturgy to life and enhancing the community spirit within the church. Higher Love - Gardiner Street Gospel Choir from Gardiner Street Gospel Choir on Vimeo. Clips of our performance at St. Patrick's Cathedral at Christmas 2013 on http://vimeo.com/thegsgc. Get a flavour of what we're about by checking out our YouTube channel at youtube.com/thegsgc.